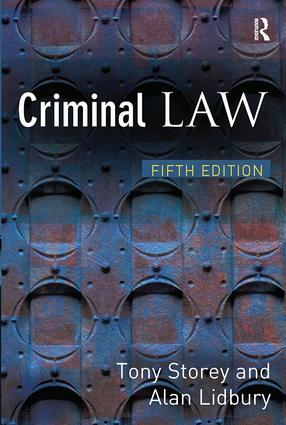 This textbook covers the Criminal Law option of the A-level law syllabus, and provides an ideal introduction for anybody coming to the subject for the first time. Criminal Law covers all A-level syllabuses/specification requirements, and is written by the principal examiner and principal assistant examiner in Criminal Law for one of the major examination boards. It contains extensive case illustration, and a range of examination related questions and activities. There is a special focus on key skills, and on the new synoptic assessment syllabus requirements. This fully updated third edition builds upon the success of the first two editions. discusses new legislation and cases including Sexual Offences Act 2003, Andrews, Bollom, G and R, Rowland, Safi and others, Weller, Z.